The second session I participated in last week at the Christian Scholars' Conference was a session reviewing Michael McRay's recently published book Letters from Apartheid Street: A Christian Peacemaker in Occupied Palestine. 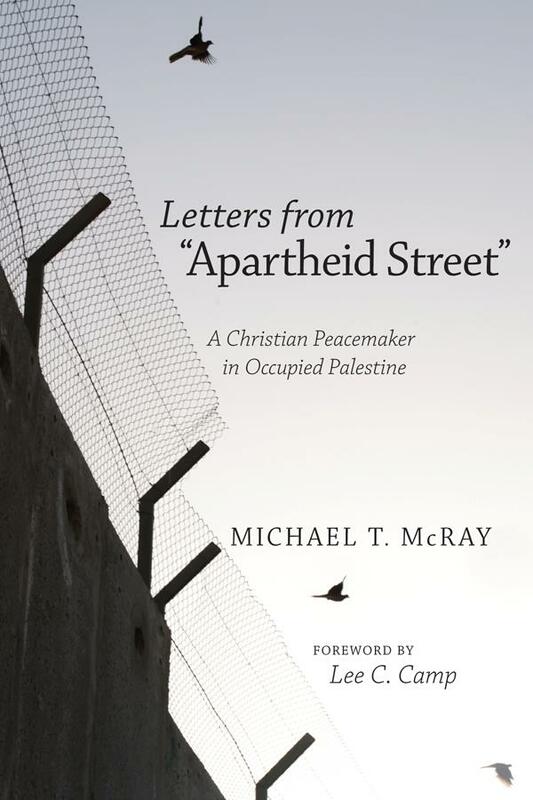 Letters from Apartheid Street is a diary account of the three months Michael worked as a part of a Christian Peacemaker Team in the city of Hebron in the West Bank. There are many fascinating, stirring, provocative and thought-provoking episodes in Letters from Apartheid Street as Michael recounts, as a CPT observer, various clashes between the Palestinians and the Israeli military and police forces. Letters from Apartheid Street is an on-the-ground, first person account of what life is like in the West Bank. But what fascinated me most about Letters from Apartheid Street was the inner, psychological journey that Michael travels as he confronts the Israeli occupation forces and struggles with his sympathies for the plight of the Palestinians. 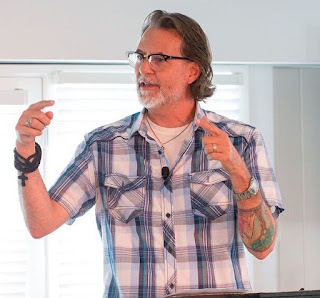 I gravitated toward Michael's struggles as I think they yield important lessons, for my own Christian walk as well as for the idealism I see in my students. 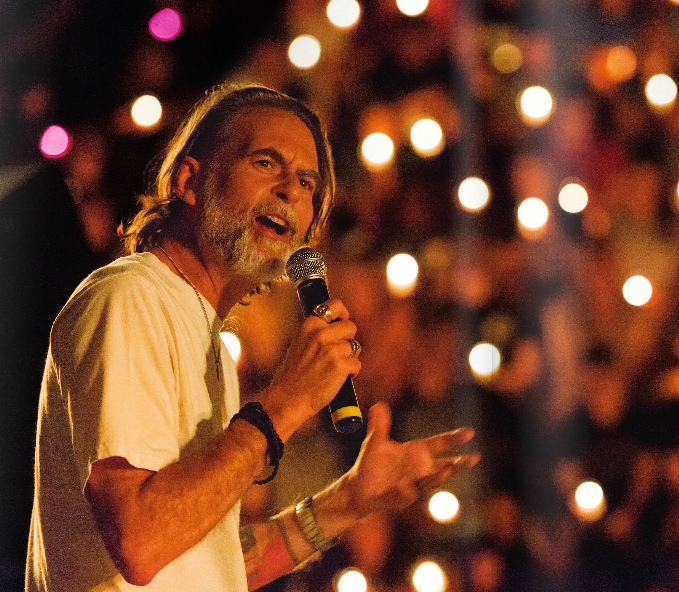 Specifically, whether the issues be peace, justice or poverty, I worry about the sustainability of the fervor that I see in both myself and my students. Our passion to "change the world" can burn so hot in the face of problems so huge and systemic that many of us burn out after a quick blast of (usually youthful) idealism and optimism. In the face of that all too common burnout, how are we to be passionate agents of change over the long haul? The observations Michael makes in Letters from Apartheid Street sketch out some answers to that question. In my review at the CSC session discussing Letters from Apartheid Street I described three temptations that Michael experienced as a peacemaker along with some of the ways he tried to overcome those temptations. These are temptations that I think any passionate and activist Christian will face. These are the temptations to hate, to heroism and to despair. First, the temptation to hate. The stories I write involving [Israeli] soldiers sometimes portray them as almost inhuman. Witnessing the reality here, I often have difficulty seeing the soldiers as normal human beings...I struggle to hide my looks of condemnation when I pass by the soldiers. Most of the time, loving--or moreover liking--an enemy who treats the innocent as subhuman feels impossible to me. Michael finds this second story in conversations he seeks out and recounts with some of the Israeli soldiers. It's a wonderful example of how you, practically, go about learning to love your enemies. The second temptation is the temptation to heroism. Many of my students (as am I) are tempted by heroism, the feeling that you can fix, say, world poverty all by yourself or, in Micheal's case, fix the Israeli/Palestinian conflict. All by yourself. As Michael confesses (p. 33), "The allure of heroism tempts me..."
But that temptation to heroism quickly fades into the temptation to despair. Once we realize, often painfully so, that we can't "change the world"--the problems are simply too huge--we can descend into depression, despair, disillusionment and cynicism. We come to think, what's the point? What's the use? I can literally martyr myself to this cause and nothing would change. So why struggle on? The truth is I am tired...Chris says feeling burnt out after a month is normal. I do hope so because, otherwise, I am not sure I am cut out for this type of peace work. I have not learned how to sustain it. Some of my disillusionment stems from the continued realization that CPT and other peacemaking teams here in Hebron are really not making a dent in the enormous machine that is the occupation. Similar things could be said by those working with other forms of aid, justice or peace work. And this goes to the issue of sustainability I mentioned above. How do we address the temptation to despair after our dreams of heroism come crashing to the ground? What are we to do when we get tired and burnt out? How are we to respond when we grow disillusioned at "not making a dent in the enormous machine," whatever that machine may be? The occupation is killing Hebron, and its people are suffering. Yet, they resist. Through life, they resist. By opening their shops in the Old City day after day, the resist. By refusing to close their shops during settler tours, they resist. By continuing to shop in the market while soldiers patrol the streets, they resist. By denying the checkpoints or settler violence the power to hinder their children's education, they resist. By building homes when Israel threatens demolition at any moment, they resist. By planting crops season after season though the settlers often steal the produce or burn the fields, they resist. By taking harassment and beatings from soldiers at a checkpoint one day and revisiting that same checkpoint the next, they resist. By returning to their roofs to work when just hours before settlers stoned them for doing so, they resist. In short, they resist through living life. "They resist through living life." For me, that's the best line in the book, a critical insight, in my estimation, about how we are to fashion a life-long and sustainable resistance to the principalities and powers. We are to practice resurrection. Resistance through living. We are to become sacraments of life in the midst of death's works. We are, in the words of William Stringfellow, to live humanely in the Fall. That is the calling. And that is sustainable. Perhaps then my task is simple to be, to be with the Palestinians in their suffering, standing and waiting in solidarity. Perhaps my task is to encourage the realization of reconciliation and beloved community by practicing it as best I can, attempting to live out its reality. This is what it looks like to resist through living. To be with others in suffering. To be reconciled. To practice resurrection and live out its reality as best I can. Perhaps my task is simply to be. One piece to add: I think we are to also warn people lovingly. Reading Jesus and the Victory of God, V2, and this aspect of the work of Jesus jumps into stark relief for me here. Wicked systems collapse again and again, often at least in part through the weight of their own rot. One day they look invincible and immortal. The next, they are gone. This sometimes gets mixed up with an expectation of a Second Coming, but here that's not what I'm pointing toward. I'm thinking of the collapse of apartheid, colonialism, communism, despotic monarchies and the like throughout history. This, too, shall pass; we should also be preparing ourselves and our enemies for its eventual passing, whoever we are, and whoever our enemies are. I think of the glee in the faces of East Germans who I met, visiting the Stasi archives, and I'm reminded that there will come a day when this apartheid system falls apart as well. I suspect that day will come long, long, long before the end of the space-time universe. Hope punctures the illusion of immortality that oppressive systems conjure, and in doing that, it is also part of how we break their spell here and now. Excellent. My 2 cents: "My task" is lived with colleagues and partners who share it. Sustained individual compassionate presence is perhaps best done with the support of a fellowship of co workers or faith community. Looking forward to reading this book. It occurs to me, though, that his efforts at seeing both sides of the issue are incomplete, focusing as he does on the IDF soldier. What would he learn if he were to spend some time living in Israeli neighborhoods that are on the receiving end of rocket attacks from Gaza? Would his sympathies *broaden*? I get the impression that his "dehumanization" of the IDF soldier is more of a fig leaf than a real attempt to understand both sides. Most likely they would broaden. I expect Michael wouldn't characterize his efforts in the book at loving enemies to have been completed in any deep or comprehensive way. He's describing his initial, first faltering steps. To hear the full stories from both the Palestinian and Israeli perspectives would, I'm guessing, take a lifetime of hard work and effort. Why do you get the impression that it's a fig leaf? Before I continue, I'll confess that the author is my brother and that I've also spent a significant amount of time in Israel and occupied Palestine; I also wrote a book about Israelie and Palestinian encounters with the other. Your response seems to assume that anyone critical of Israeli occupation is unaware of rockets or has no Israeli or Jewish friends, that sympathies aren't already broad; someone might feel sympathy, or empathy, and still remain vociferously critical of occupation and colonization. Simply spending time in targeted Israeli neighborhoods still wouldn't reveal the complicated history and enormous power imbalance. This suggestion is analogous to saying, "If only we could spend time in early American settler colonies who were attacked by indigenous raiding parties. Maybe our sympathies would broaden and we could see that both sides are equally oppressed. If only we could spend some time with white shop owners in the 60s whose businesses were disrupted by black activists. Maybe our sympathies would broaden."